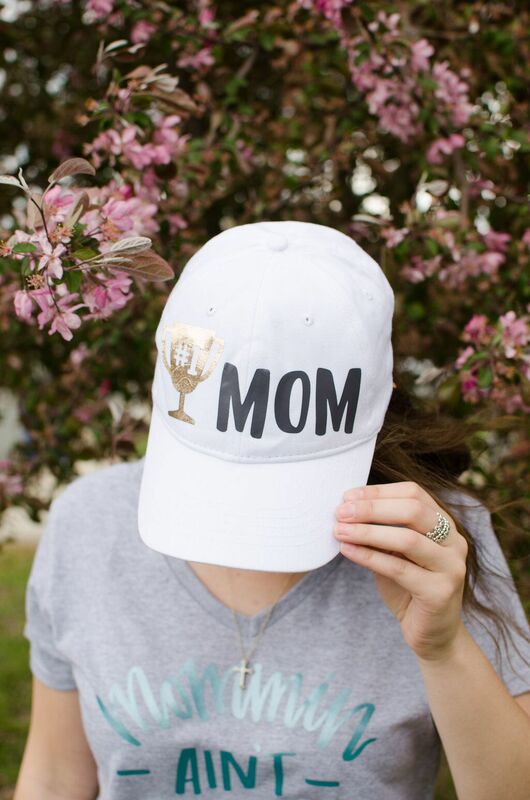 If you’re searching for the perfect Mother’s Day gift it’s your lucky day. You probably have some trouble finding a great gift that she will love and that won’t break the bank. 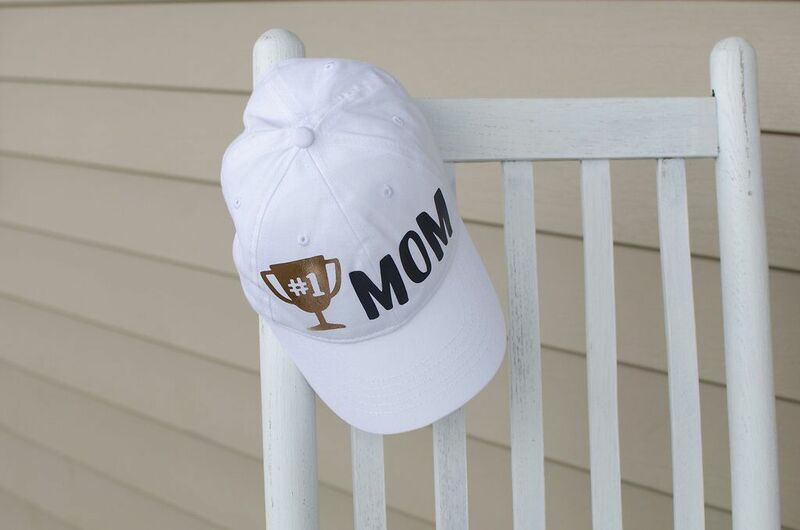 Today I want to show you this DIY Cricut Mother’s Day Gift Idea – #1 Mom Hat tutorial that you’ll enjoy making. I think this hat was $3 from Walmart and besides that, you just need some iron-on material and a die cutting machine. If you’re wondering where you can find this adorable “#1 MOM” file, go check out Makers Gonne Learn. It has over 200 digital cut files for every occasion perfect to use with your die cutting machine. There are new files and inspiration projects added each month. Go check it out, and enjoy learning how to create this cute hat for your mom. Size the design to make sure it will fit your hat well. Then use your die cutting machine to cut out the sized design. Preheat your EasyPress to 340 degrees and weed your design once it’s done being cut. Lay your hat down on the EasyPress Mat and align your design where you want it to go. Heat the hat for 30 seconds while applying pressure. A hat is an odd surface to use with the EasyPress but it’s not as hard as you might think. 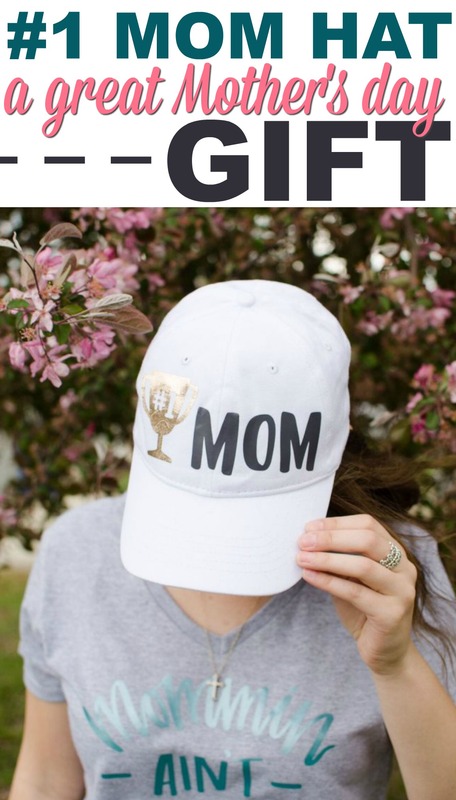 Once it has completely cooled slowly remove the transfer sheet and there you have a fun and simple Mother’s Day hat!